One of the top quality international schools in Saigon, the Renaissance International School, today announced the appointment of a new Head of School. Mr Peter Gittins will be moving with his wife Kerry and dog Otto from Switzerland to lead the school from 01 August 2017. He presently works for the Council of International Schools (CIS), and is currently on a brief visit in Ho Chi Minh City to introduce himself to the Renaissance School community and meet with a number of key stakeholders. In the morning, the incoming Head was welcomed by the school’s teachers, teaching assistants, parents, students and other community members, and in the evening the VIP guests of Saigon’s international school community had a chance to meet Mr Gittins at welcome drinks reception organised by the school at the Sheraton Saigon. While the school is preparing to celebrate its tenth anniversary in May that includes celebrating its full CIS accreditation achieved earlier this year, Peter is seen by leading international education experts as a great appointment. With his background in heading up and developing a number of quality international schools in Asia and Europe and his recent experience of working for CIS, Mr Gittins will undoubtedly apply his knowledge of the international education management best practice at the Renaissance International School, to maintain and further enhance its strong reputation in the sector. “As the Founding Principal of ISHCMC I believe that I have a good understanding of the needs of Saigon-based parents, and I will be bringing the most up-to-date best practice and ideas that I had access to while working for the CIS and applying it to further enhance the student experience, and the quality of teaching and learning at the Renaissance International School”. Mr. Gittins is a highly regarded and experienced international educator. The incoming Head of School has been involved in international education for a period in excess of thirty years as both a teacher and school leader. Trained as a teacher of History and English, Peter taught History in Papua New Guinea, Nepal and Australia before commencing his school leadership career in the capacity as the Founding Principal of the International School, Ho Chi Minh City (ISHCMC). There followed an interim Headship in Australia, the Headship of the Overseas School of Colombo, Sri Lanka and the Headship of the International School Hamburg, Germany. 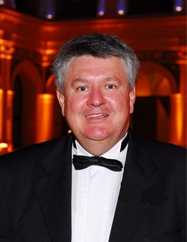 Peter currently works for the Council of International Schools in the area of school accreditation and also works directly with school Boards in the areas of strategic planning, change management and governance. During his time with the CIS, Peter has been able to observe leading international schools and their best practice, and this experience will be invaluable for our school, helping Renaissance to further leverage our academic standards and beyond. Renaissance International Saigon School is committed to its ethos of top quality international education, enhanced by community life, sport, international award programmes and a unique language programme. The school was established in 2007 and has gained its full CIS accreditation in 2017. It follows the National Curriculum of England and offers GCSE, SATs and IB Diploma qualifications. The top quality of the school’s programme manifests itself in its consistently outstanding exam results; in 2016, for example, the school’s IB average score was 33.6, against the world average of 31.0. Since the introduction of the IBDP programme the school’s students have on several occasions achieved the best results in Vietnam. Renaissance graduates are now studying at universities in the UK, Europe, USA, Canada, Australia, New Zealand, Singapore, Hong Kong and Vietnam, including Princeton University, University of California San Diego, New York University, Manchester University, the University of Durham, and the University of Singapore.